Apple looks like they’ll be jumping full force into the touch screen market sometime in the future. 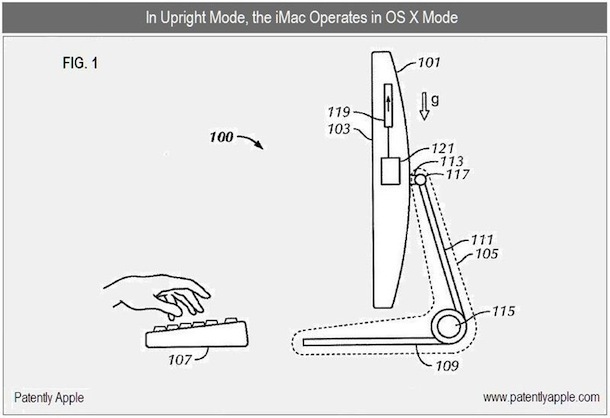 An uncovered patent application shows an iMac Touch that runs both Mac OS X and iOS, which seamlessly switches between the two operating systems depending on how the screen is orientated. In this image, the iMac screen is tilted upright to be used as a traditional Mac with a keyboard. In this orientation the iMac runs Mac OS X and would appear as any other iMac. This image shows the same iMac slanted down, and when orientated horizontally the iMac looks to seamlessly switch to running the touch based iOS. Amazing! 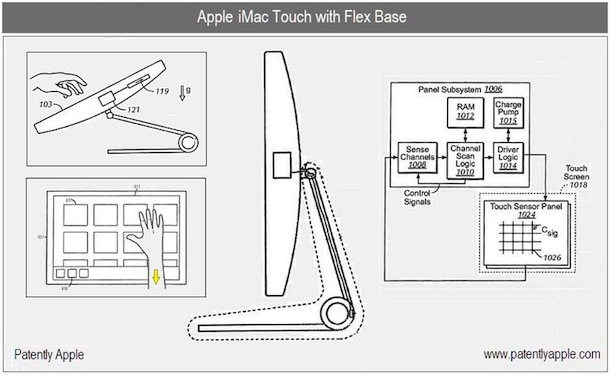 The patent application also describes touchable areas on the screen that would activate iOS, suggesting that iOS will run on a layer atop Mac OS X, almost like a super powerful touch version of Dashboard. The patent also describes similar OS switching functionality on a laptop. This is fresh off the heals of the MacBook Touch patent discovery that clearly demonstrates an Apple laptop with a high resolution touch screen. If you’ve been were wondering what Apple plans to do with the future of their hardware and dual operating systems, this should give you some great insight. Mac OS X and iOS look to be integrated on the same hardware when applicable, allowing a user to either use the simplified touch GUI or the more powerful and traditional computing environment of Mac OS X. Will we see these features in Mac OS X 10.7 and iOS 5? Time will tell! 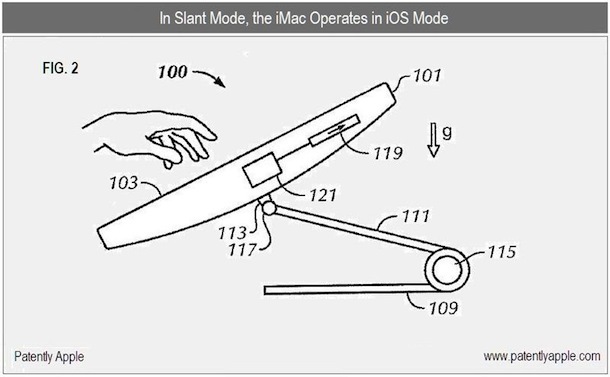 Head over to Patently Apple for more pictures and a good walkthrough of the patent. How many years off are these features and hardware? Who knows. Will we ever see touchscreen Macs that switch between OS on the fly? It’s as good as a patent and rumor at this point, but hopefully! This is really exciting stuff. As a long-time technical writer in the computer and aerospace industries, I recommend you learn the difference between heals and heels. Poor spelling and grammar do not improve the credibility of any writing, especially technical writing.